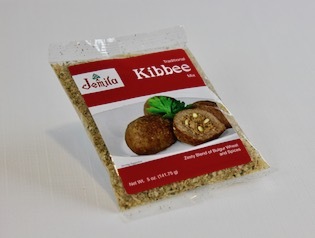 Soak one package of Jemila Kibbee Mix in 1 1/2 cup of water for 15 minutes and set aside. Saute one large onion in 1/2 cup olive oil until golden in color. Mix in chopped vegetables and kibbee mix. Cook on low heat for approx. 15 minutes. Add additional water if needed. * When using zucchini, add 5 to 6 cups of diced fresh or stewed tomato to dry kibbee mix. Cook on medium heat until juice is absorbed.